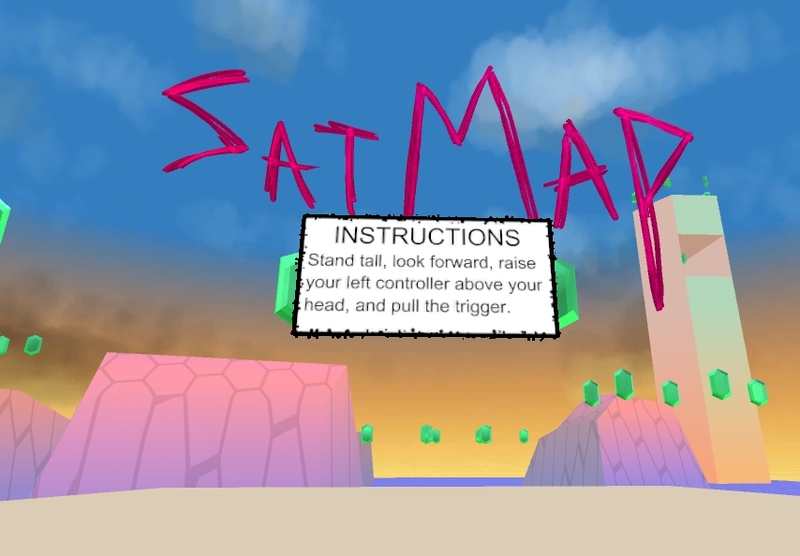 SatMap is a VR shooting gallery that you navigate in a unique VR-exclusive way. When you're standing, you're in the action, but when you sit down, the whole world shrinks to a tiny model of itself. Pick up your marker and drop it where you want to go. See how fast you can shatter all the gems! 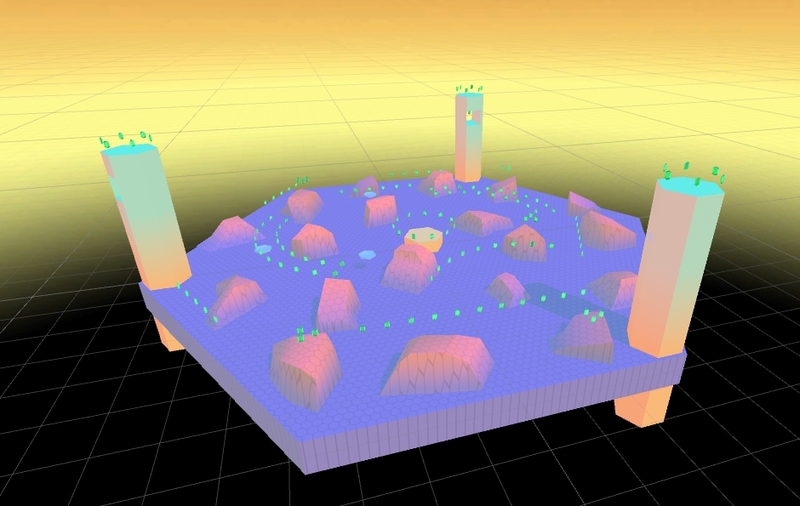 Game made with Unity. Logo made in Quill. Textures made in Photoshop and Flash. Models made in Silo. Skybox gradient made with Gentle Gradient. Music made in Figure. Sounds effects made in Audacity and SFMaker. Sorry about your knees. 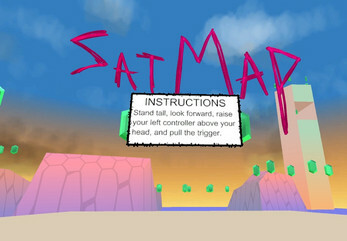 Created for Ludum Dare #38.